Home » Historical » Victorian » Were Tightlaced Corsets All Bad? Zebrowska is right to think this view controversial given the difficulty of deconstructing social attitudes from more than a century ago. However, recent research suggests she may be quite right – and why not given the recent resurgence of the corset in fashion and popular culture? Indeed one major concern is of oppression versus agency and whether women were put in corsets by society or whether they used the sexually-imbued garment to gain power. “Though formally and socially you were expected to obey your husband at all times, there are tons of stories of women outsmarting their husbands and making them rely on their wives completely. Not every woman in Victorian era was a sad, helpless butterfly as portrayed in the modern movies,” said Zebrowska. 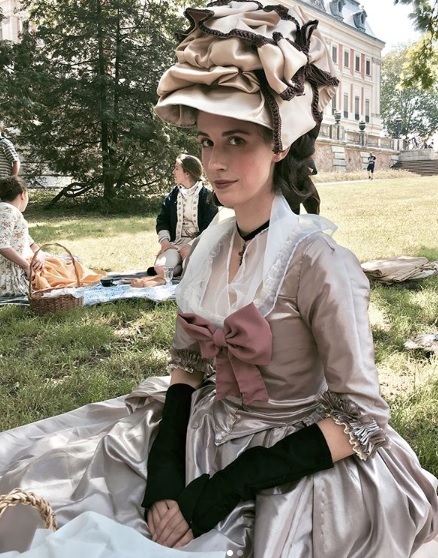 Recent research by Rebecca Gibson published in the NEXUS Canadian student journal of anthropology drew upon contemprary sources claiming men did not like corsets. “D. O. Teasley (1904), a woman writing for and to other women said ‘For my part I cannot see why tight lacing was ever invented. Men, as a rule, especially men of good judgment, do not admire slender waists,’ she said. The importance of this implication cannot be overlooked when discussing corsets; women, Teasely implies, were choosing to control their own bodies, even to the point of self-harm.” Plenty of male sources compared the constricted modern woman against the more relaxed forms of classical statuary and Renaissance paintings. 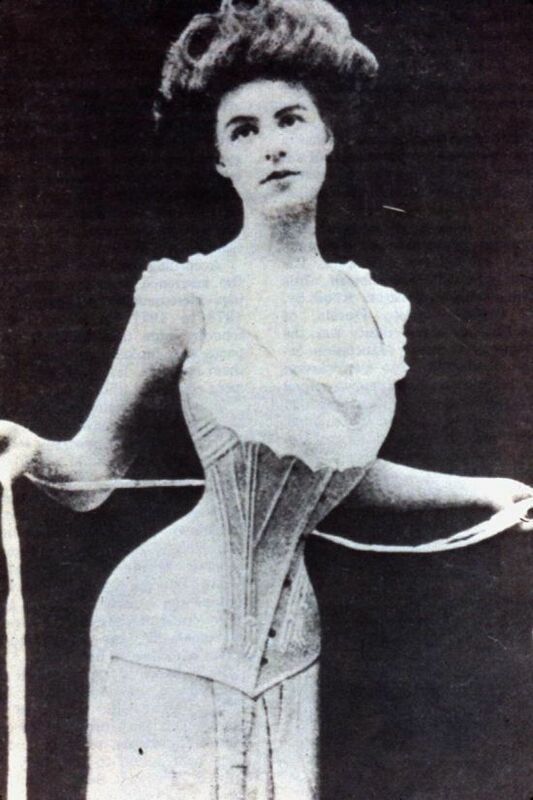 While attitudes towards corsets were varied, many contemporary medical reports were fanatical and unreliable, with O’Followell in 1908 a fequently-cited example listing such symptoms “with those who wear bad corsets: slices near the armpits, difficulty with the venous circulation of the upper limbs, accidents resulting in the compression of the brachial plexus, flattening, crumpling of the breasts and diverse maladies of the lymph nodes or the mammary glands, extreme difficulty of certain movements, weakening and atrophy of compromised or inactive muscles, pressing down and permanent overlapping of the lower ribs.” The full list is considerably longer. 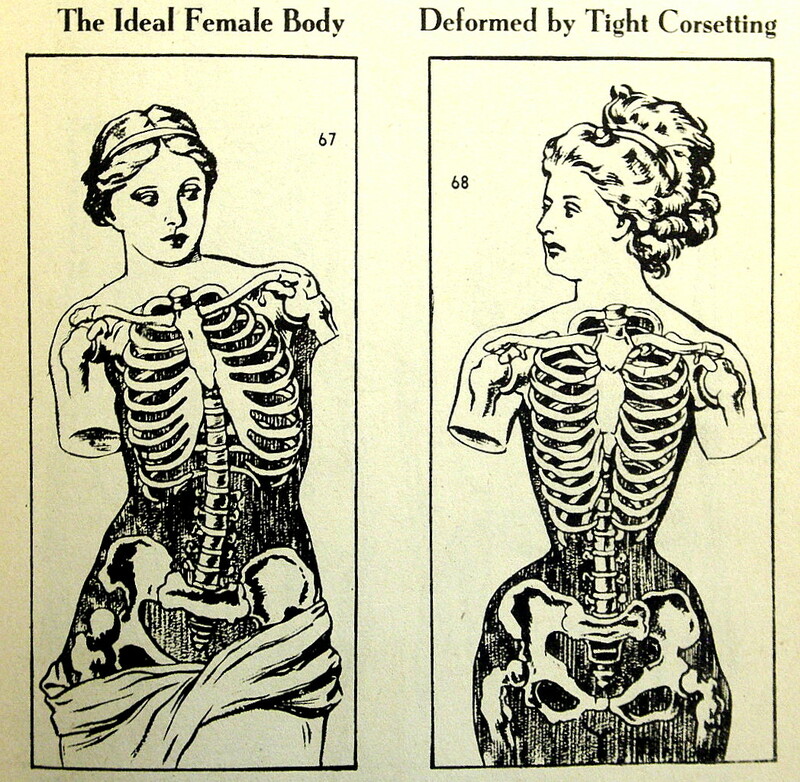 Gibson analysed skeletons and corsets to establish just how damaging the practice was. Far from being crushed by medieval torture devices, seven skeletons in the French Musée de l’Homme and 18 in the Museum of London found that women across the social spectrum showed S-shaped ribcages and yet lived relatively long lives. In London four were between 36 and 45 while the remaining 13 were over 46 when they died. In an interesting extra approach, Gibson analysed 44 corsets in the V&A dating from 1700 to 1900 to look for signs of wear and strain. Crucially Gibson concluded that viewing women’s social history as a reflection of patriarchy is overly simplistic and going forward more research needs to take a more nuanced approach to how women were treated and how they shaped their own identities.